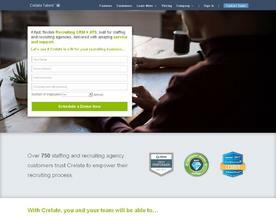 What is Online Staffing Software? Staffing Software offers the ability to acquire staff for a business through recruitment. This simplifies the recruitment process because all of the candidate informations is kept in one centralised database. Staffing Software allows you to manage your front and back office recruitment easily.